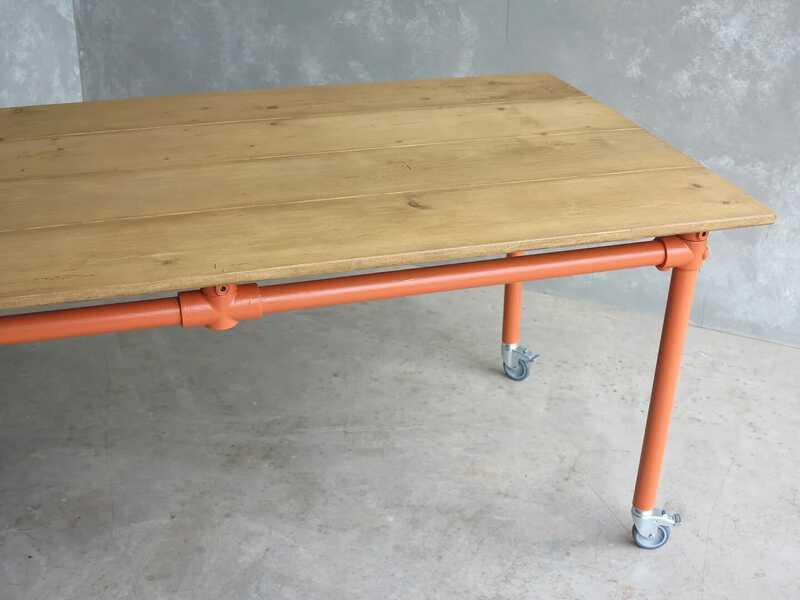 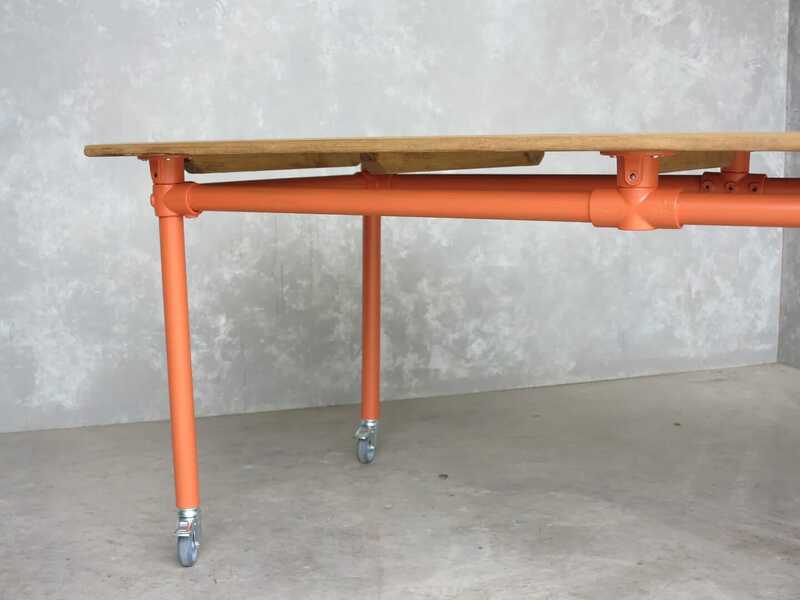 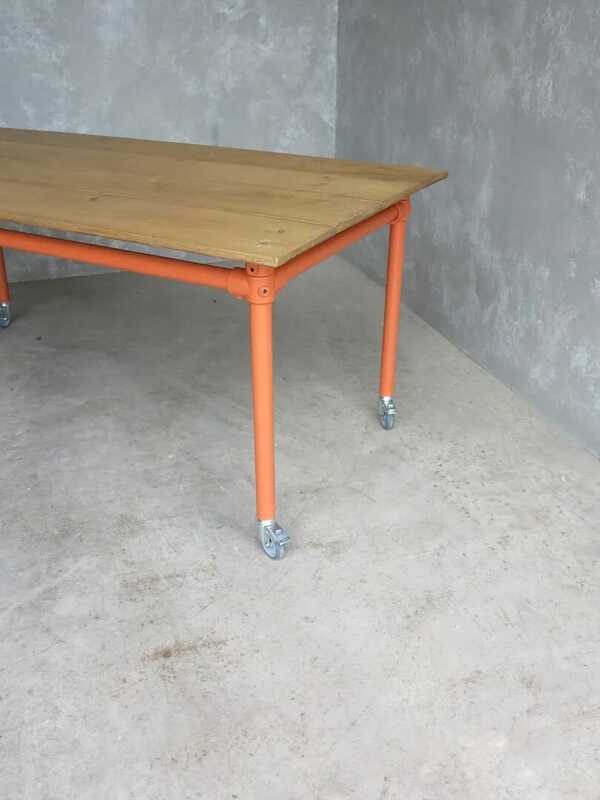 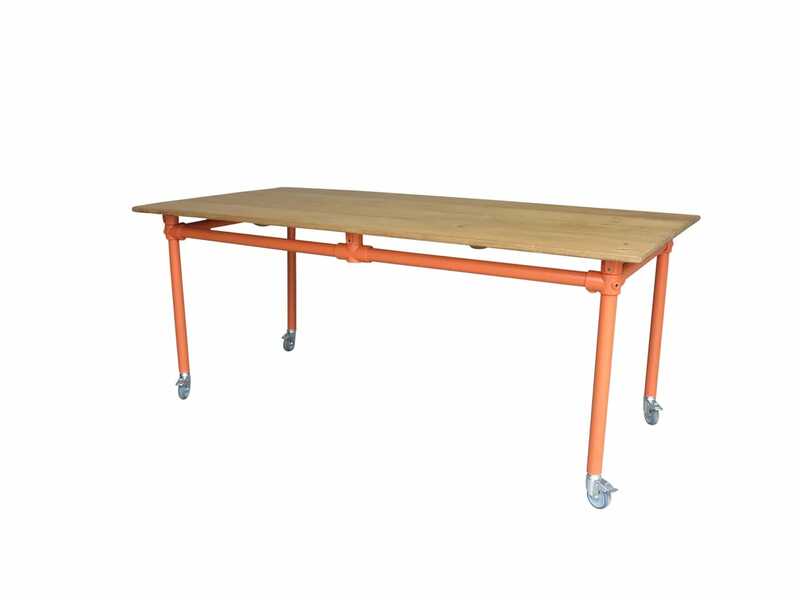 The base is made from galvanised steel tubing which has been painted orange. 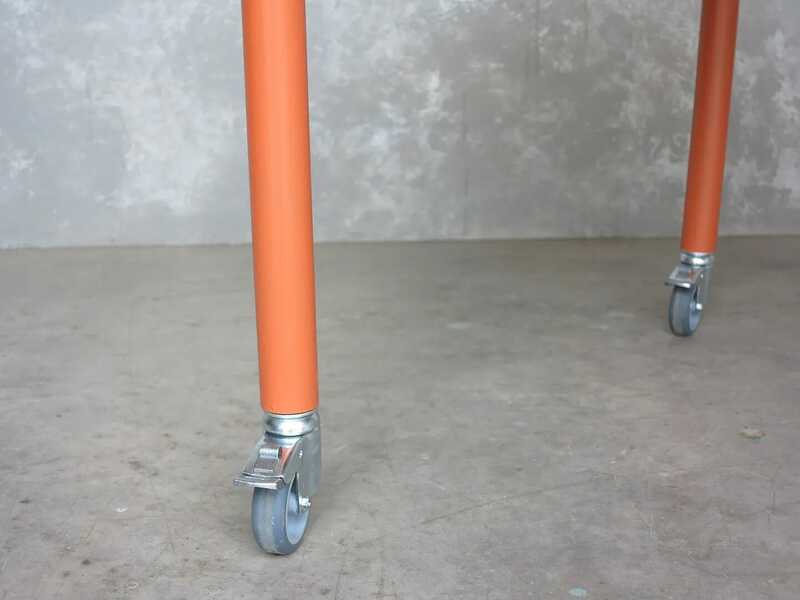 Fitted with 4 x lockable castors. 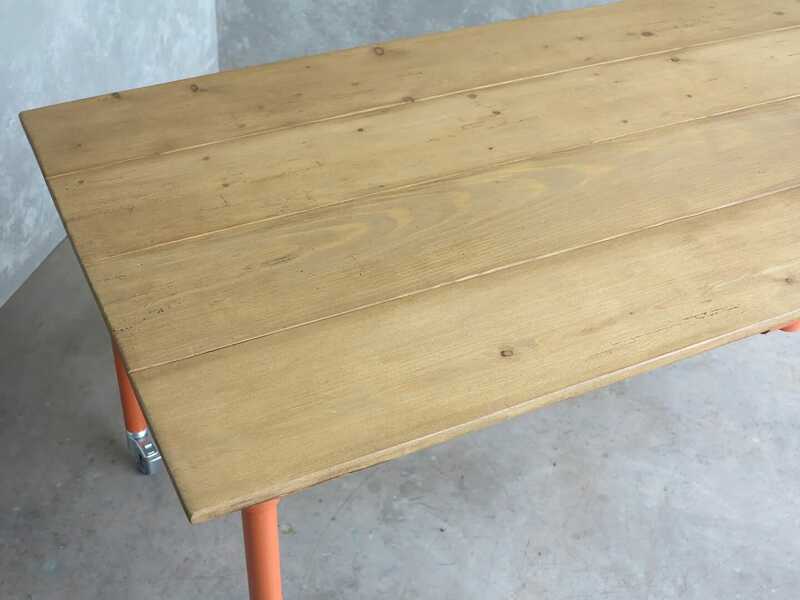 This table top has the specifications: 72" Long x 36" Wide x 30 ½" Tall in a waxed finish.